On further review, Rodsmith's bike made the top 10. He's a master metalworker, but as for master of obscene language, he's a bit try hard. By Aussie standards, you don't trot out a half baked expletive laden one liner then pause with a fleeting glimpse into the camera lens, waiting for the applause that doesn't arrive. Would not pass the campfire test at an Aussie rally. Other than that, his skill is beyond my comprehension. 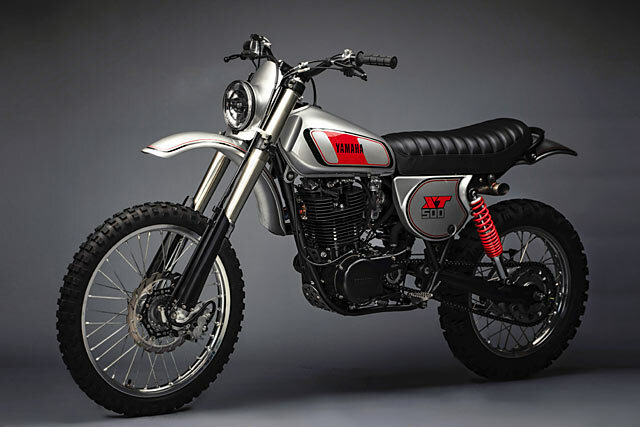 I'll take the Yamaha XT500 restomod. Ya that XT is pretty amazing!! And made the bike MORE usefull, instead of less..
Wow, if Yamaha made these I would get one and they would sell a ton of them. His builds are amazing. Blending the old and new with his builds is amazing! His skills with metal shaping and repairing are superb. The production quality of the videos need to improve the motorcycle skills are there. That Yamaha was definitely my favorite, though that Harley dirtbike was a close second. My only gripe? HD and the exposed clock-spring on their kickers.... putting that on a dirtbike? Dumb idea. this is Heartburn,,,erhhh, I mean Pipeburn.